An immigrant’s experience brings cultural diversity to an industry and a community. Kweighbaye Kotee is someone who isn’t afraid of challenges. To her, the idea of “thriving” is all about breaking out of our comfort zones. Fleeing from Liberia to the US as a child in the 1980s was a transformative experience that both empowered Kotee and made her embrace change. Now, she passionately champion the challenge of inclusivity in all forms, and in particular on screen. In 2007, Kotee founded the Bushwick Film Festival (BFF) as a platform to create a diverse collective of filmmakers and audiences and to nurture a thriving community. Reflective of how Kotee herself was able to become a trailblazer through her own life experiences, the BFF is designed to provide opportunities for people to tap into their own inner strengths, move through adversity and develop the capacity for creative expression. When asked what adversity means to her, Kotee smiles. “Growth and strength,” she replies. Kotee was forced to face adversity early on in life. It began when her family escaped the Liberian Civil War in search of a better future. Her parents landed in East Orange, New Jersey, taking on any jobs available, working hard to build a new life for their family. This unsettling time instilled in young Kotee a sense of hope, dignity, and perseverance as her parents inspired her to strive for the best. 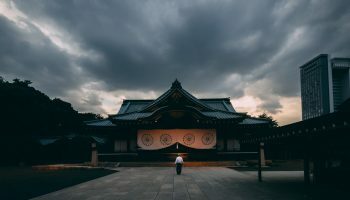 In middle school, Kotee applied for The Wight Foundation scholarship program and was accepted to Blair Academy, one of the most prestigious boarding schools in the country. While there, she was exposed to new opportunities, and noted the stark difference between the academic life she shared with her classmates at Blair and the community she knew back home in Newark. Kotee’s deep connection to her neighborhood’s struggles sparked a new idea. While attending the Tribeca Film Festival in Lower Manhattan she reconnected to a familiar feeling of enchantment with movies. As a child, films helped her imagine a life of endless possibility. They fed her own explorations of cultural, social, and economic identity and uncertainty. 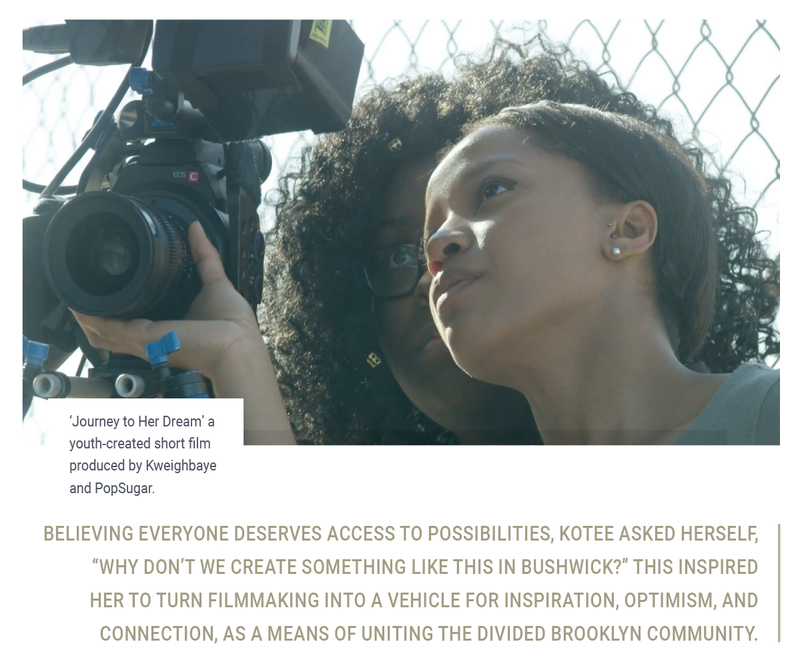 Believing everyone deserves access to possibilities, Kotee asked herself, “Why don’t we create something like this in Bushwick?” This inspired her to turn filmmaking into a vehicle for inspiration, optimism, and connection, as a means of uniting the divided Brooklyn community. Today, the Bushwick Film Festival is considered one of Brooklyn’s most influential cinematic events for its contribution to the borough’s cultural, artistic, and economic growth. It stands apart from other festivals like Tribeca and Sundance because it is built from the fabric of the community in Northern Brooklyn. The festival works to carefully leverage its growing influence to give back to the under-resourced parts of the community. 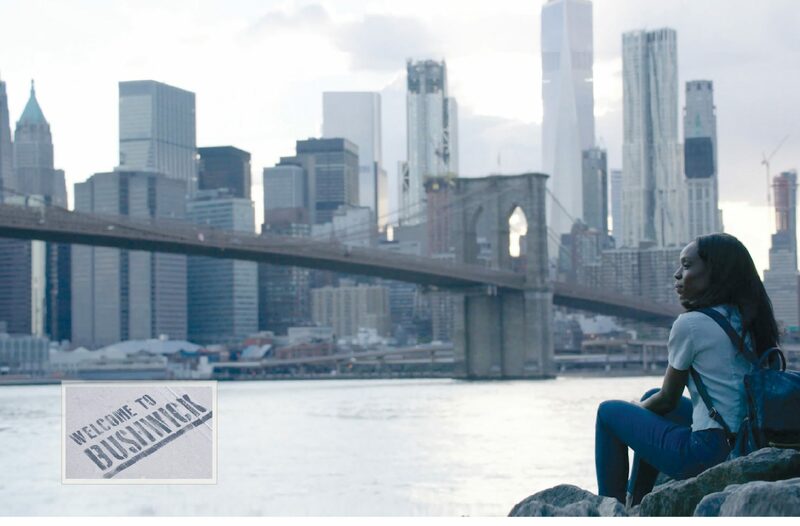 Since its inception, the Bushwick Film Festival has showcased the works of over 500 filmmakers, most of them Brooklyn and New York-based, as well as the work of international filmmakers from 40 countries across the globe. 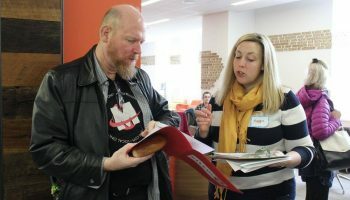 With so many films – a record-breaking 1,000 submissions in 2018 alone – program organizers undergo a diligent process to select and invite approximately 100 filmmakers to screen their films at the festival. Festival winners and runners-up in Best Narrative Feature, Best Documentary Feature, Best Short Film and Best Web Series are awarded sponsorship packages, as well as access to industry executives, audiences, and other networking opportunities. Over the course of the 5-day festival weekend, festival attendees share their love of cinema with fellow supporters of the arts, the festival provides a chance to celebrate culture, diversity, and community. Not only does the Bushwick Film Festival attract Brooklyn’s – and the world’s – most diverse filmmakers, it also conducts year-round events and filmmaking workshops. By bringing independent film and art education to the community, the festival connects local residents to new experiences of exposure, expression, and enriched learning, while introducing a greater diversity of voices and perspectives into the cultural milieu. There were challenges to expanding the BFF and developing these programs, of course. Still, Kotee was able to overcome barriers and push forward even when resources were scarce. 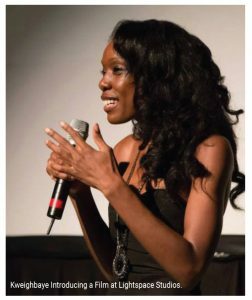 A few years ago, when thinking of sustainable ways to push the festival forward, she decided to think unconventionally and pitched for funding from developers doing work in her neighborhood to sponsor the film festival. Later she created additional arts and cultural programs for other organizations in order to further support the community. To date, she has helped to source over $400,000 of funding for arts, culture, and community programs that support under-resourced areas in North Brooklyn. Learning to navigate the local tensions between new businesses, developers, and politics to her advantage, she continues to create innovative ways to ensure the community is better resourced and engaged at all levels. 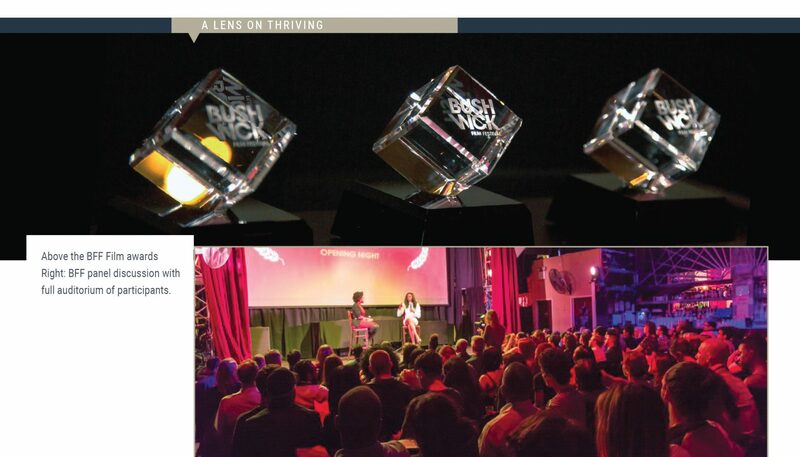 Kotee’s creative leadership efforts in Bushwick have since extended beyond the Bushwick Film Festival. “I think about my commitment to this community. A lot of people here don’t get the opportunity to go to college and struggle with finding job opportunities, so I wanted to learn how to be more involved. I wanted to address the politics of division and steward a culture of learning, to create opportunities for all residents.” Kotee joined the local community board, built relationships with council members and stakeholder organizations, and engaged with schools and community centers to better grasp how she could be of service to the community. Kotee’s latest project launching this year, The Bushwick Film Institute, will act as a non-profit branch of the Bushwick Film Festival. Its focus is to teach and mentor young adults about the art and craft of filmmaking in areas such as screenwriting, direction, production, set design, lighting, and sound. 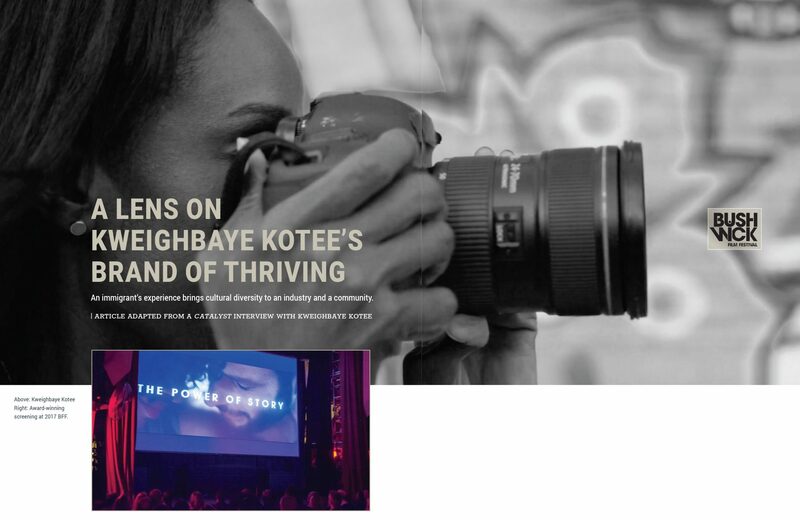 Kotee’s aim is to encourage youth from diverse backgrounds to see the film industry as a viable professional pathway and a way to express their creative talents. the concept of “thriving” into the storyline of their beloved Bushwick. 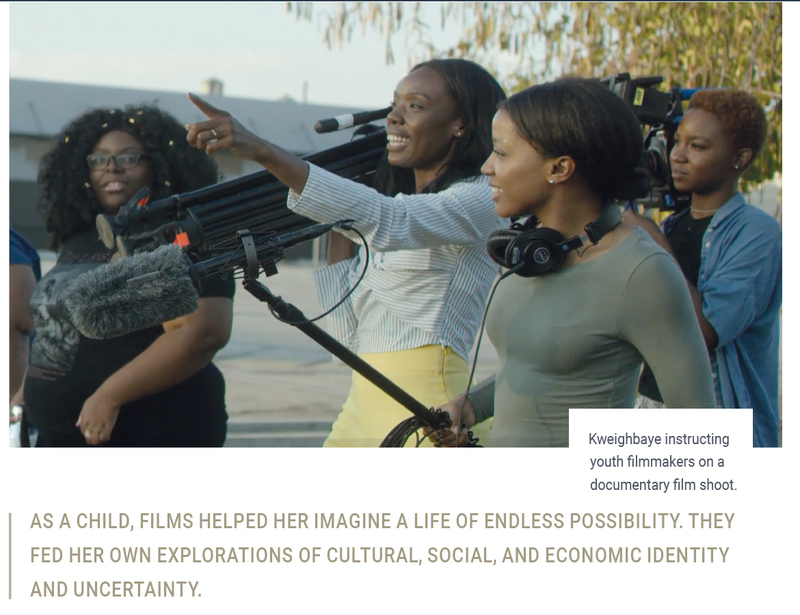 As more diverse youth document their stories and the stories around them, an emerging generation of filmmakers will begin to produce new dreams and unveil new narratives for their lives. 30% of films are directed by person of color. 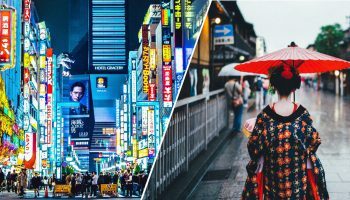 >> LEAD change–nothing stays the same. >> USE your life experience to inform your work. >> GIVE BACK to move forward.